We know you’ve probably read, or at least heard of, the hit dystopian novel The Hunger Games, starring 16-year-old Katniss Everdeen. With the movie’s release date creeping up on us, we decided to reread this favorite and found so many new things to love. It made us fall for Katniss, Gale and Peeta all over again. The book has been newly released in a beautiful movie tie-in paperback edition — which is why it’s our Red Hot Book of the Week. The Hunger Games trilogy has taken the reading world by storm, and on March 23, it’s going to do the same to movie-lovers. Fans of the books are eagerly anticipating seeing Jennifer Lawrence as Katniss Everdeen, the tough, savvy teen who must fight to the death for her own survival. Author Suzanne Collins wasn’t the first to write a dystopian novel, but she has refreshed the genre and opened it up to a whole host of new authors, including those who write for a young adult audience. We can’t get enough of the author’s amazing worldbuilding — and Katniss captures our heart each and every time we read this breathtaking novel. Sometime in the future, the world as we know it today will collapse, and all that will be left is the shining capitol city of a country called Panem. Surrounding it are twelve districts, each with its own area of expertise, which support the Capitol. Every year, in order to remind the districts what they owe their Capitol, the country hosts the Hunger Games — in which 24 recruits, or Tributes (one girl and one boy from each district) must fight to the death in a televised battle. 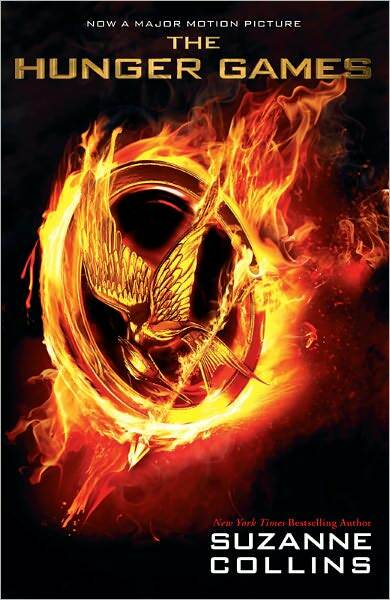 Sixteen-year-old Katniss Everdeen lives in District 12 with her mother and sister. Her mother is unable to provide for her family, and therefore, Katniss goes on illegal hunts with her best friend, Gale, in order to make sure her sister, Prim, doesn’t starve. At the Reaping, where the contestants for the Hunger Games are chosen, Prim is terrified of being selected, but Katniss assures her it won’t happen. After all, it’s only Prim’s first year of eligibility. But when Prim’s name is the one read for the female Tribute from District 12, Katniss cannot stand by. Rather than watch her baby sister die, Katniss chooses to volunteer in Prim’s place. But can Katniss overcome all the obstacles thrown in her way and find it in herself to murder 23 boys and girls, including her friend Peeta, the male tribute from District 12? Or will she succumb to the Hunger Games?